The housing crisis has been at the centre of political attention for some time. It is clear that we have a crisis. There are too many people sleeping rough or living in their cars for it to be otherwise. This is not the New Zealand that we all aspire to live in. As David Slack elegantly suggested Michael Joseph Savage would be spinning in his grave at the though of what had happened to the social welfare system that he introduced. And he would question the policy of paying $1.2 billion each year in subsidies to landlords when so many houses could be built for that amount of money. 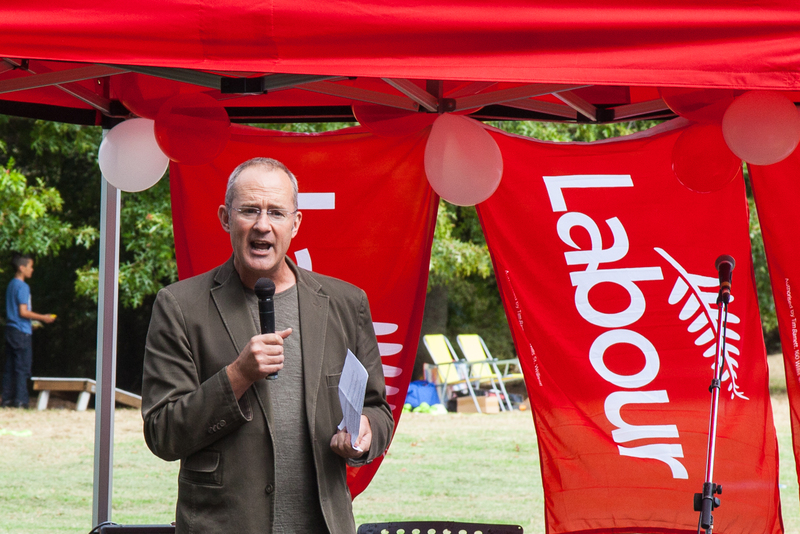 Phil Twyford this week proposed that the Government should consider abolishing the Rural Urban Boundary as one measure to address housing affordability and try and deal with the crisis on the basis that it has not worked. “Over 25 years the urban growth boundary hasn’t prevented sprawl, but it has driven land and housing costs through the roof. It has contributed to a housing crisis that has allowed speculators to feast off the misery of Generation Rent, and forced thousands of families to live in cars, garages and campgrounds. “Labour’s plan will free up the restrictive land use rules that stop the city growing up and out. It will stop land prices skyrocketing, and put the kibosh on land bankers and speculators. His rationale is that the urban growth boundary has created an artificial scarcity of land, and driven up section costs. Land inside the boundary is up to ten times more valuable than rural land. “There is a smarter way to manage growth on the city fringes by properly integrating land use with transport and infrastructure planning. There should be more intensive spatial planning of Auckland’s growth areas in the north, north-west and south. Land of special value can be set aside, like the northern coastal strip or Pukekohe’s horticulture soils. Corridors should be acquired and future networks mapped for transport and other infrastructure. “It is also essential to reform the way infrastructure is financed. The cost of new infrastructure must rest with the property owners of new developments to prevent the ratepayer carrying the can for expensive infrastructure investment in places where it’s too expensive to build. Labour proposes using bond financing paid back by targeted rates over the life of the asset. This can range up to 50 years in some of the jurisdictions using this mechanism. On the face of it the proposal is a radical change from the current system although I believe that if you dig into the detail it is more nuanced and complex than the initial response from others would suggest. My first question was what would happen to the Waitakere Ranges? Too many westies have fought for too long to provide the protection afforded by the Waitakere Ranges Heritage Area Act 2008 and the thought that they would be at risk was of concern. Phil confirmed that the area would be considered to be land of special value and set aside. It is possible that protection for the Ranges would be increased, not decreased. In effect Phil is proposing that economic measures be used to intensify the city, not planning measures. If developers are obliged to pay the full cost of infrastructure then the further out the development the more expensive it will become. There will be a strong economic justification for development within the current city limit and in brownfield areas. committing to new ways of infrastructure financing that ensure new developments pick up the tab for the cost of transport infrastructure and utilities without relying on a taxpayer or ratepayer subsidy. The announcement received immediate support from unusual quarters. The Taxpayers Union were supportive and started an online petition so others could also express their support. The issue is an important one. Attempts to present the proposal as some sort of laissez faire approach to planning I believe are misguided. Labour’s policy platform emphasises the importance of environmental protection and talks about how Labour will “champion urban planning and urban design”. Twyford’s announcement highlights the importance of spatial planning. I sense no desire to leave urban form moulding all over to the market. The announcement will not doubt focus attention on the Unitary Plan release which is only a few months away. Don’t think so Derek. The press release has a lot more detail than the headline which is somewhat misleading. There is a problem with land developers gaming the system and this does need to be addressed. And Phil is talking about legislative change, not interfering in the Unitary Plan process.